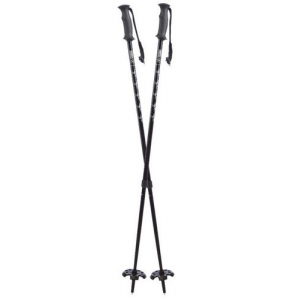 Tubbs adjustable poles are constructed with lightweight 6000 series aluminum and lend added security and stability on uneven, steep or icy terrain. 2-Part poles Adjustable 105 130 cm. 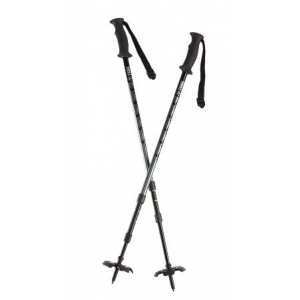 The Tubbs 2-Piece snowshoe poles improve balance and reduce fatigue as you navigate the winter wonderland. 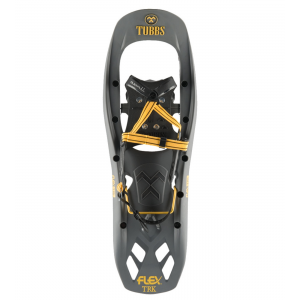 The Tubbs Flex ESC Kit is the perfect introduction to snowshoe tech for the beginner who wants to take full advantage of winter. The kit includes a pair of Flex ECS snowshoes, 2-Part Tubbs snowshoe poles and a tote bag. 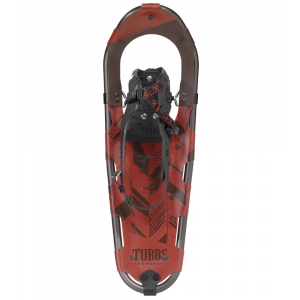 The Tubbs Men's Flex ESC is for new snowshoers who want to add a layer of comfort to their excursions, and value-conscious beginners who still want to benefit from innovative tech on the trail. Rediscover the trails you know! 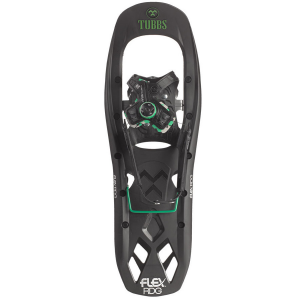 The Tubbs Women's Flex ESC is for new snowshoers who want to add a layer of comfort to their excursions, and value-conscious beginners who still want to benefit from innovative tech on the trail. Rediscover the trails you know! 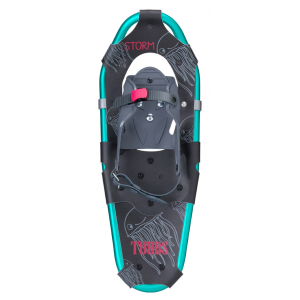 With a tapered frame shape, the QuickLock binding, and fun graphics, the Storm is a true kid-friendly model. Best for kids ages 6-10 years old. Created for snowshoers that enjoy varied terrain, the Flex Trk offers superior maneuverability. The QuickPull binding slides easily to cinch, and unlocks with one push of a buckle. Classic style and trail-walking comfort. 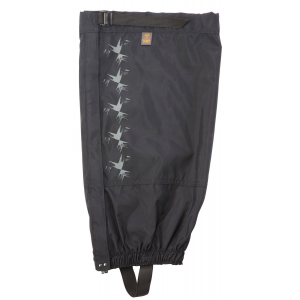 Water-resistant and breathable, full-length nylon gaiters provide protection from the elements by keeping snow out of your boots.